Russian President Vladimir Putin on Wednesday called US sanctions against Moscow "counterproductive and senseless" after Washington warned that more "economic pain" was to come. 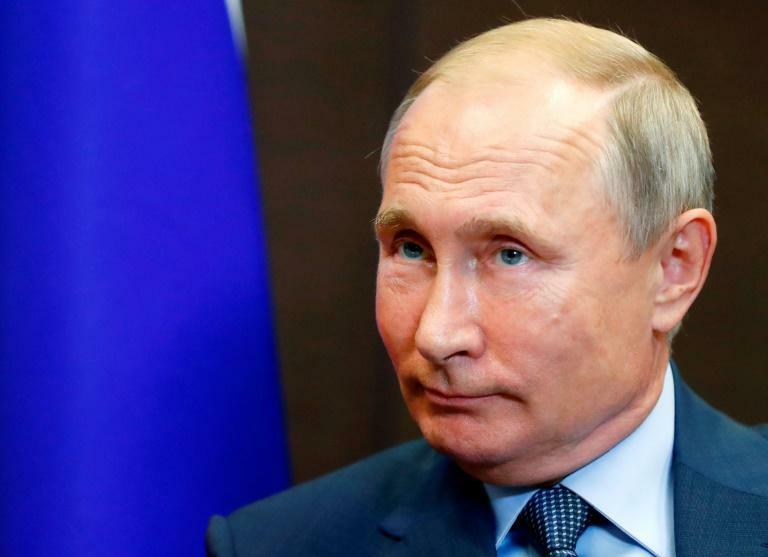 "Sanctions are actions that are counterproductive and senseless, especially against a country like Russia," Putin said during a press conference with his Finnish counterpart Sauli Niinisto. Putin added that he hoped Washington would eventually realise "this policy has no future". Putin's remarks came after a senior US Treasury official, Sigal Mandelker, said Tuesday that the US can inflict "much more economic pain... and will not hesitate to do so" if Russia does not cease what she called "malign activity". The US government has sanctioned Russian entities over the past several years for meddling in Ukraine, attempting to influence US elections, playing a role in a nerve agent attack in Britain and violating United Nations sanctions on North Korea. Russian officials maintain that the country's economy has not felt any major impact from the punitive measures. "I believe it was useful. Nobody counted on resolving all the disputed issues in the course of a two-hour conversation," Putin said. Trump has slammed Russia's plan for a gas pipeline to Germany called Nord Stream 2, and some in Washington have called for sanctions to target the project, an idea Moscow calls unfair competition. "Europe needs Nord Stream 2," Putin said Wednesday. "Russia is the optimal supplier to the European economy. We are ready to compete with everyone. We hope for a clean competition."